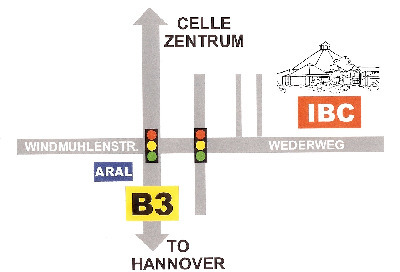 From Hannover: Take B3 to Celle. You will se an Aral station on the left at an intersection. Turn right at that intersection onto Wederweg. 600 meters down the road on the left you will see the German Baptist Church where we meet. From Bergen: Take B3 to Celle and continue towards Hannover. Turn left at Wederweg. The church where we meet is 600 meters down this road. To plan a route from any start point in the area, click here. Worship every Sunday at 2:00 p.m. Children's classes are provided.